Alien returns in a new 4K restoration to celebrate the 40th anniversary of one of the most influential sci-fi films ever made. 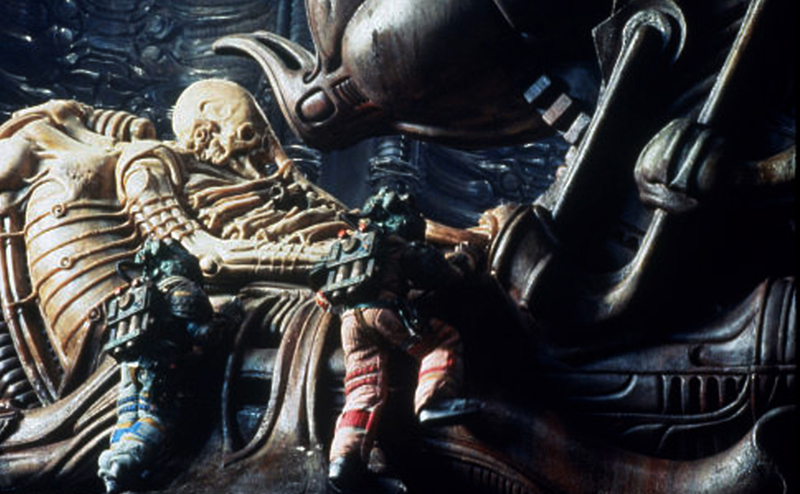 Ridley Scott’s film added sophisticated design, visual splendour and a few visceral shocks to a B-movie scenario that could have been borrowed from The Thing or Creature from the Black Lagoon. The plot is a variation on the Old Dark House story: a group of astronauts trapped in the confines of a spacecraft with no escape is threatened by a shape-shifting monster. 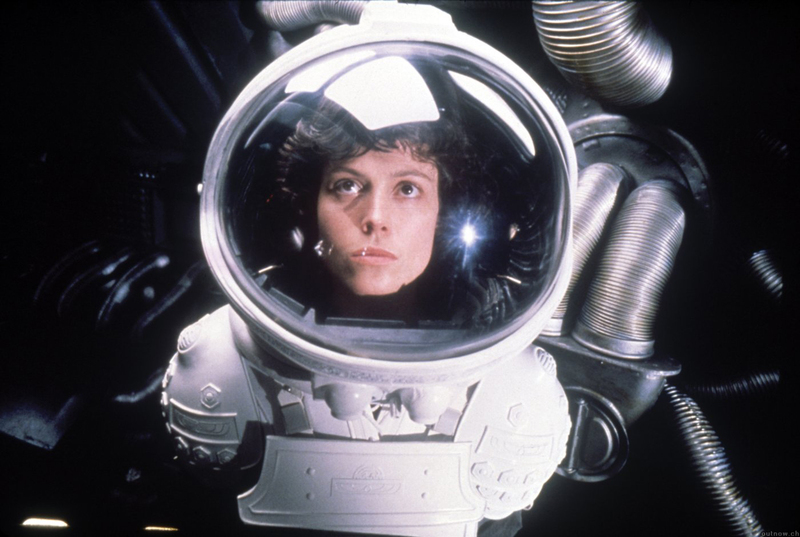 The subsequent alien hunt cues some edge-of-the-seat suspense sequences and clashes amongst the crew members, with Ripley (Sigourney Weaver) emerging as the only match for the acid-for-blood, razor-clawed creature. 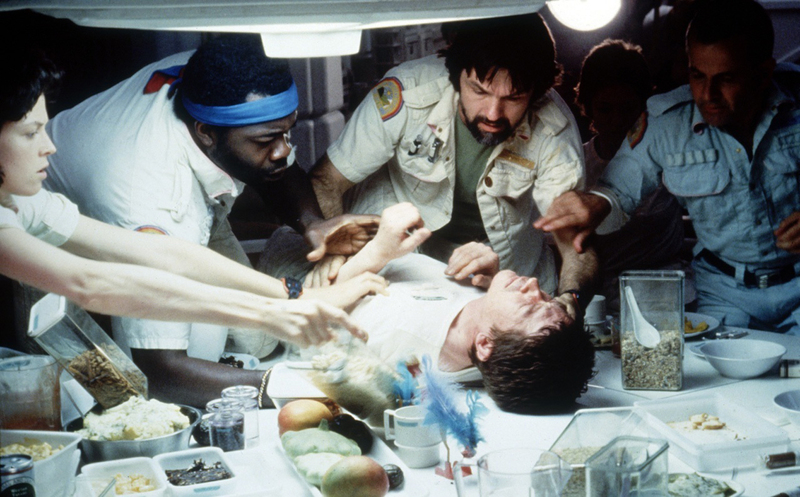 Two factors distinguish Alien as a horror show, the first being the revolting scene of a creature emerging from a crew member’s chest, and the second being the changing appearance of the alien itself. First seen as a prehensile kind of shrimp, it is quickly transformed into a living H. R. Giger sculpture of organic steel. What Alien brings to science fiction cinema is visual beauty, from its first contemplative prowl around the superb corridors of the Nostromo to the quite magnificent sequence of the planetary exploration, the entry of the spaceship through vaguely obscene orifices, and the revelation of the vast, chilling desolation inside.